Angela Crawley MP today thanked the many community organisations and charities that came from across Lanark and Hamilton East to attend her ‘Meet the Funders’ event in Carluke. Organisations heard from 11 different funding providers including Tesco, VASLAN and the Big Lottery Fund. There was also an opportunity to network with other local groups and plan future joint working. 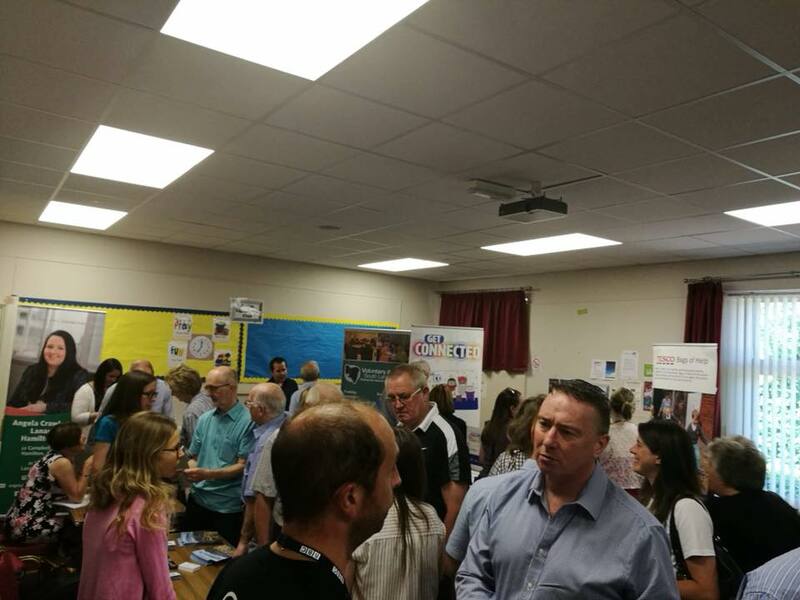 The event was such a success that Angela is now planning to make it a regular feature in her community engagement programme – alongside her specialist surgeries, jobs fairs and coffee mornings. “Thank you to everyone that attended my packed ‘Meet the Funders’ event today. It was great to see so many committed community organisations looking to expand their programme of work over the coming year. “I would also like to thank the funders that attended and provided information to the groups which will be essential in opening up new revenue streams for them. “Community organisations are the back-bone of my constituency and I am delighted to be in a position to support their fantastic work. David Mundell’s continued “disrespect for devolution” over crumbling Chequers deal.